Andy Miller is a member in the firm’s Personal Injury Group. During his 25 years of practice, he has tried complex, high value cases to verdict in Alameda, Contra Costa, Fresno, Humboldt and Sonoma Counties. He has also conducted dozens of binding arbitration proceedings involving claims of medical negligence. Prior to joining Rains Lucia Stern St. Phalle & Silver, Andy was a partner at Craddick, Candland & Conti where he represented hospitals, physicians and nurses in medical malpractice cases. He gained extensive practical knowledge of anatomy, the effects of trauma on the human body and how injuries are diagnosed and treated. He has an in-depth understanding of CT scans, MRIs and other medical imaging and uses that knowledge in litigation. Andy has developed a network of contacts with expert witnesses willing to review cases for our clients. Andy also has over twenty years experience litigating catastrophic injury cases on behalf of trucking and transportation companies. He handled matters involving issues of highway design, traffic light sequencing, visibility analysis, equipment maintenance, biomechanics and accident reconstruction. As a former defense attorney, he has unique and valuable insight regarding common techniques employed by defense counsel and insurance companies to avoid paying fair compensation to the injured. In 1985, Andy graduated with honors from California State University, Chico with degrees in English and Political Science. 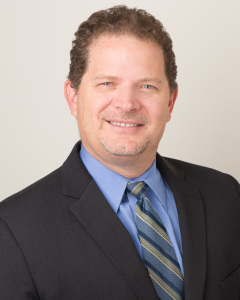 In 1989, he received his JD from the University of San Francisco where he was a member of the Law Review and an extern for Justice Marcus Kaufman of the California Supreme Court. Andy’s interests include Bruce Springsteen, William Shakespeare, the Oakland Raiders, and camping with his family.